The London art fair Masterpiece London is the ultimate go to event of the London’s summer art season. Held in a tented temporary structure at The Royal Hospital Chelsea, Masterpiece showcases the best of what fine arts, design, jewelry and antiques can share in the market today. The fair crosses through time displaying works as old as 6,000 years. There is no doubt as to why Masterpiece is worthy for the international attention it is currently getting. The fair is supported by Art Basel and India Art Fair, Masterpiece is getting stronger and better over the years and is confidently expanding in size and scope. Among the special Masterpiece newcomers is the contemporary art dynamo Hauser & Wirth, presenting a variety of modern & contemporary artworks alongside nineteenth-century furniture, and they did not shy away from displaying the iconic Calder mobiles. Kallos Gallery too has stepped in with their antiquities. Fine jewelry had its place at the fair too, for those who have a flair for all that shines. The fair fully embraced all that is aesthetically, conceptually, and stylistically organic, sculptural, artisanal and architectural, making it quite a trip for all the visitors' eyes. A new exciting feature to this fair is ‘Masterpiece Presents’, an initiative introduced last year to showcase new talent. The mixing of the contemporary and the innovative with Impressionist and early modern works, including works by Picasso, Magritte & Modigliani makes this fair all the more special and this refinement in eclecticism makes this fair an experience unlike any other. 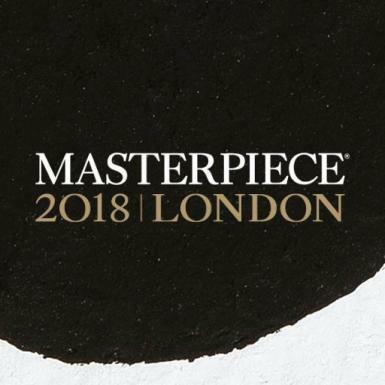 Coinciding with London Art Week and Mayfair Art Weekend, Masterpiece is a glamorous affair where the works on display are just as important as those or are coming to look. With all the glamour and champagne who knows who will walk out of the tent with the heavier or lighter pockets.